37 15/16 x 36 1/4 in. Roy Lichtenstein (October 27, 1923 – September 29, 1997) was a prominent American Pop artist. His work defined the basic premise of pop art better than any other through parody. Favoring the old-fashioned comic strip as subject matter, Lichtenstein produced hard-edged, precise compositions that documented while it parodied often in a tongue-in-cheek humorous manner. In 1961, Lichtenstein began his first pop paintings using cartoon images and techniques derived from the appearance of commercial printing. This phase would continue to 1965, and included the use of advertising imagery suggesting consumerism and homemaking. His first work to feature the large-scale use of hard-edged figures and Ben-Day dots was Look Mickey in 1961. This piece came from a challenge from one of his sons, who pointed to a Mickey Mouse comic book and said: "I bet you can't paint as good as that, eh, dad?". Lichtenstein had his first one-man show at the Castelli gallery in 1962; the entire collection was bought by influential collectors before the show even opened. It was at this time, that Lichtenstein began to find fame not just in America, but worldwide. His work featured thick outlines, bold colors and Ben-Day dots to represent certain colors, as if created by photographic reproduction. However, rather than attempt to reproduce his subjects, his work tackled the way mass media portrays them. In the 1970's and 1980's, his style began to loosen and he expanded on what he had done before. His style was replaced with more surreal works. His "mirror" paintings consist of sphere-shaped canvases with areas of color and dots. 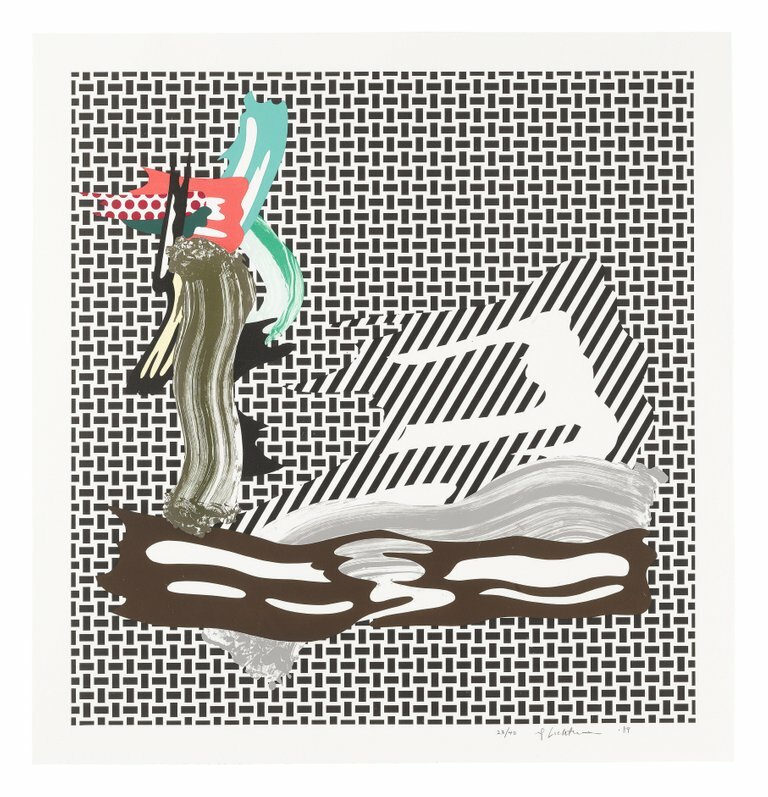 Lichtenstein also created a series of still lifes (paintings that show inanimate objects) in different styles during the 1970's. In the 1980's and 1990's, Lichtenstein began to mix and match styles. Often his works relied on optical (relating to vision) tricks, drawing his viewers into a debate over the nature of "reality".